With nearly 60 million inhabitants, close to 70 percent of its population living in urban environments, and home to one of the highest levels of psychological distress in Europe, Italy has the need for improved mental health treatments. Italian institutes, private companies, and universities, with the aid of the Italian Ministry of Health, have seen the possibilities that cybertherapy possesses and have joined in efforts to promote the use of advanced technologies in the treatment and rehabilitation of Italy’s mental well-being. The use of advanced technologies for psychological treatment and rehabilitation was brought to the scene in the mid-1990s and has since continued to vastly grow in the last decade. The Applied Technology for Neuro-Pschology Lab, held at the Istituto Auxologico Italiano, began in 1996, pioneering many of the applications that enabled the diffusion of virtual reality and Internet in the field of healthcare often referred to as “cybertherapy”. At this time, its main focus was integrating innovative research ranging from clinical psychology and cognition, to mobile devices and simulation apparatus. As described by the ISI Web of Science, this lab is currently within the top three laboratories worldwide in numbers of publications available on Virtual Reality and Ambient Intelligence. In recent decades, the Human Technology Laboratory (HTLab), among others, has been at the forefront of the investigation in human- computer interaction, particularly in cognitive, communicative, social, and cultural aspects of the human relationship with new and emerging technologies. Located at the University of Padova, this lab is devoted to virtual environments, the use of videogames for healthcare (known often as “serious games”) and simulators for safety training. Many other technology-based healthcare labs exist in Italy, including wearable technology companies, virtual reality-based treatment clinics, and the topmost cybertherapy research facilities on the continent. 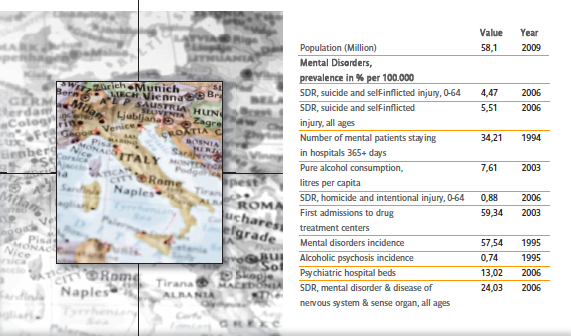 Despite Italy’s small stature, its healthcare research has kept Italy as a leader in technology- based mental healthcare. Companies such as FIAT, Telecom Italia, ST Microelectronics, and Motorola have joined with research facilities and the Italian Ministry of Health, focusing on prevention, treatment, and rehabilitation to further improve its citizens’ mental wellbeing. As a founding member of the European Union and a country with a passion for traveling, Italy has a multitude of research links to all corners of the globe. Limited research funds have pushed many researchers to move abroad, creating permanent partnerships with at least 15 research centers in Asia, Europe, Australia, and North America. The European Union has a strong connection with Italy’s laboratories and universities. The EU supports political, cultural, and economic research in Health and Future Emerging Technologies (FET), granting the possibility for Italy and other EU countries to research top-level projects by way of an unbiased evaluation. Acting as a guarantee of quality, the EU funds the “best of the best,” often awarding Italian researchers the necessary funding to supplement the lack of domestic funding opportunities. The use of outside funding has aided many laboratories to continue research as well as to provide a dissemination process for the laboratories. The unique possibility to collaborate with international scientists and research groups in the FP7 (EU research framework program), FP6, and FP5 has offered concrete support for future advancement in scientific investigation into technology and many varied conditions. Some of the top Italian projects have been funded by the European Union. Two of the top current Italian-based projects sponsored by the EU are the INTREPID and ELDERGAMES research projects. INTREPID is a project commissioned to design a biofeedback enhanced Virtual Reality treatment for generalized anxiety disorder (GAD). GAD is a psychiatric disorder characterized by a constant and nonspecific anxiety that interferes with daily-life activities. INTREPID uses its biofeedback bio-monitoring system to teach the patient to control his or her physiological parameters, using the feedback provided by the virtual environment to evaluate his or her success. ELDERGAMES has developed a tabletop solution for mixed reality environments. Users are offered the possibility to play with real and virtual objects and to engage in a series of more than 40 videogames specifically designed to test and monitor elderly cognitive conditions without mandatory and frequent periodic psychological check-ups. With the ELDERGAMES project, the elderly can socialize with old and new friends, challenge other players online, try to improve their personal cognitive performance, and provide data that enables the ability to evaluate and monitor cognitive conditions – all while the subjects feel they are playing a game. As cybertherapy in Italy continues to grow at a rapid rate, the future will undoubtedly remain bright for this pioneering country. 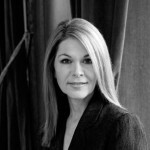 Future areas of research appear to be in the concept of “presence,” an experience elicited by technology, as well as in new forms of Human-Computer Confluence (HCC) and ICT studies as shown by trends in research and by future EU calls for proposals. HCC signifies a priority on the EU research agenda for the most advanced forms of theorization and empirical investigation on neural, psycho-physiological, and behavioral correlates of human relations with technology, specifically with new interfaces. This, along with the fastgrowing phenomena of new emerging forms of ICT based on interpersonal and social networked activities, has been an interest of the EU. The EU has shown trends to pursue projects and quickly introduce these phenomena into mass communication, the economy, culture, and education. Italy will be the host of the 14th annual CyberTherapy & CyberPsychology conference this June, located at the beautiful Lago Maggiore in Verbania-Intra. This conference will explore emerging applications, design, and effects of new media, featuring a multitude of top international researchers from around the globe. Many Italian researchers will be in attendance, capitalizing on the international conference’s magnitude and reputation as a frontrunner of cybertherapy and advanced technology- based rehabilitation as well as a key forum for dissemination. Italy has proven to be a notable leader in cybertherapy and, this June, will host one of the world’s foremost leading forums for advanced technologies for healthcare. Italy will continue to hold its place amongst influential researchers in this field and will surely flourish in the years to come. As Solera once said, “You may have the universe if I may have Italy”.